Pre-workout has grown to become a common term among athletes and gym goers in the recent past. Basically, pre-work supplements are a combination of certain ingredients that work synergistically to give you the boost required in training or workouts. They are fundamentally performance enhancers that don’t use steroids or hormones. 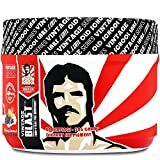 The ingredients can include a blend of caffeine, creatine, beta-alanine, branched chain amino acids (BCAAs) and nitric oxide agents among others. The combination and proportions of the mentioned ingredients vary from one package to the other. Sometimes, pre-workout supplements are not for everyone. Some individuals do not respond well to high doses of ingredients like caffeine. Others are clueless about the ingredients they are putting in their bodies while the rest just can’t afford them. The good news is that if pre-workout supplements don’t work for you, there are plenty of alternatives out there. With the expert input of top nutritionists, we have curated a list of 5 of the best alternatives to pre-workout supplements you can utilize to enhance your performance. Before we discuss the reasons for trying alternatives to pre-workout supplements, it is important to note that when used correctly, these supplements are not harmful. The moment other illegal or harmful ingredients are introduced is when you should worry. One such harmful element that has been found in some supplements is DMAA. That is exactly why we have written this article – to enlighten you on the best alternative pre-workout boosters. It is a common mannerism to ignore the contents of a product, and supplement users are not different. Not knowing what you are feeding your body could have adverse effects. If you don’t have time to scrutinize pre-workout supplements, you can opt for other alternatives. This post will give you valuable alternatives that can significantly change the dynamics of your body before training or workouts. By analyzing the common ingredients in pre-workout supplements and the science behind them, it is possible to make your own homemade alternative. Coffee is the go-to natural pre-workout alternative. Try having coffee a half an hour before you hit the gym to enhance your performance. The caffeine in the coffee will keep fatigue at bay. Typically, a cup of coffee contains about 100 mg of caffeine, which should get you going for some time during light workouts. The recommended dosage of caffeine, however, is 200 mg for enhanced performance. Taking more than two cups of coffee won’t necessarily improve your performance. The amount of caffeine is dependent on a few factors: the type of coffee you are using and how the coffee is roasted. Keep in mind that coffee is a mild diuretic, meaning that you must stay well-hydrated at all times. From the tempo to the lyrics, music has the power to significantly affect your performance by changing your mindset and distracting you from negative thoughts. People who listen to music during workouts tend to exercise for extended periods compared to those who don’t. Listening to music before and even during workouts is a common sight in gyms. Studies have proven that jogging to music is helpful. It prevents joggers from hearing pounding footsteps or heavy breathing, both of which can be demoralizing. Music has powerful control over your mood and helps to get you in “the zone.” Famous athletes like Michael Phelps have admitted to using music to help them focus on the task at hand. The sad thing is that many gym goers and athletes fail to harness music to its full potential. When you choose music as your pre-workout alternative, ensure that the rhythm and tempo match the pattern of activity and rate of movement. A song with a quicker pace than your comfort zone will challenge you to go for higher fitness targets. Also create a playlist with positive, affirmative lyrics that encourage you to push it or move it. Many pro-athletes choose music that reminds them of a positive event or time in their lives. Sleep has a considerable impact on your performance during workouts and also your recovery in between training. When you lack enough sleep, you become less productive. More and more pro-athletes are realizing the importance of sleep quality as it significantly enhances endurance, sprint times and resting heart rates. Studies have proven that when you deprive yourself of enough sleep, you inhibit your body’s ability to tolerate and use glucose for energy. This implies that you will get tired faster during workouts as there is not enough energy to sustain a session. Use of stimulants, especially later in the day can interfere with your sleep quality and duration. To get enough sleep, avoid using stimulants after 5 pm. Turn off your TV and leave your smartphone in the living room before you retire to bed. It would help if you got at least 7 hours of quality sleep every night. While music and coffee may help you exercise longer, certain pre-workout foods will increase your focus during training. You can try a blend of natural pre-workout alternatives that include bananas/fruit smoothie; milk and oats; apple slices and peanut butter. Bananas, popularly referred to as “nature’s power bar” are rich in vitamins A, B, C and E and they’ll give you a quick burst of energy. They additionally have adequate amounts of zinc, potassium and iron responsible for maintaining muscle and nerve functionality. A combination of peanut butter and apple slices offer your body a blend of protein, good fats and natural sugars to give you more endurance during workouts. Milk is a good source of whey protein and casein while oats are rich in complex carbs. Mix them, and you will have the steady energy supply you need to finish a workout session. Now let’s talk about eating. Most blogs emphasize the need to eat just before workouts instead of highlighting the need for proper nutrition before, during and after workouts. Nutrition is probably the most crucial factor in the fitness lifestyle. Your body is like a car that needs fuel to keep moving. Provide your body with the “fuel” it desperately needs by practicing proper nutrition. The right amounts of minerals, vitamins, macronutrients and calorie levels are necessary for your body to function properly. Good nutrition can help your body recover faster and perform better. Knowing what foods to eat is essential for better performance. Ensure you have a balanced meal with optimal nutrients before and after training. By a balanced meal, I mean equal amounts of carbohydrates (rice, oatmeal), lean protein (chicken breast, fish), a small amount of olive oil and salad. Pre-workout supplements have for a long time served an ever-growing number of pro-athletes, bodybuilders, gym enthusiasts and other individuals looking to begin a new exercise routine. 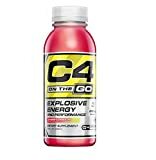 The 5 alternatives to pre-workout supplements mentioned above provide a natural way of stimulating your body before workouts. You should never underrate the power of your thoughts. To push to your maximum output, mind over body control is valuable. Try setting achievable goals to push your boundaries and savor each moment as a chance to be faster, stronger and healthier. Got a favorite pre-workout snack or drink we forgot to mention? Share it below with the workoutnut community!